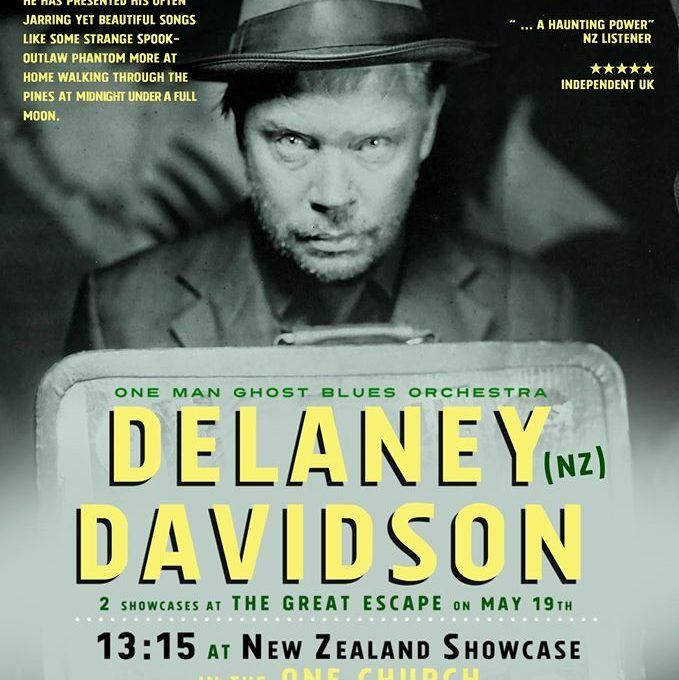 Accepting formal invitations to play two showcases at the Great Escape Festival in Brighton Delaney Davidson said he was excited to return to Brighton to play. He will showcase in the One Church aswell as the Harbour Hotel. Both Showcases will take place on the 19th of May. He said he was honoured to be representing the New Zealand Music as part of the NZ Music Commissions selection.